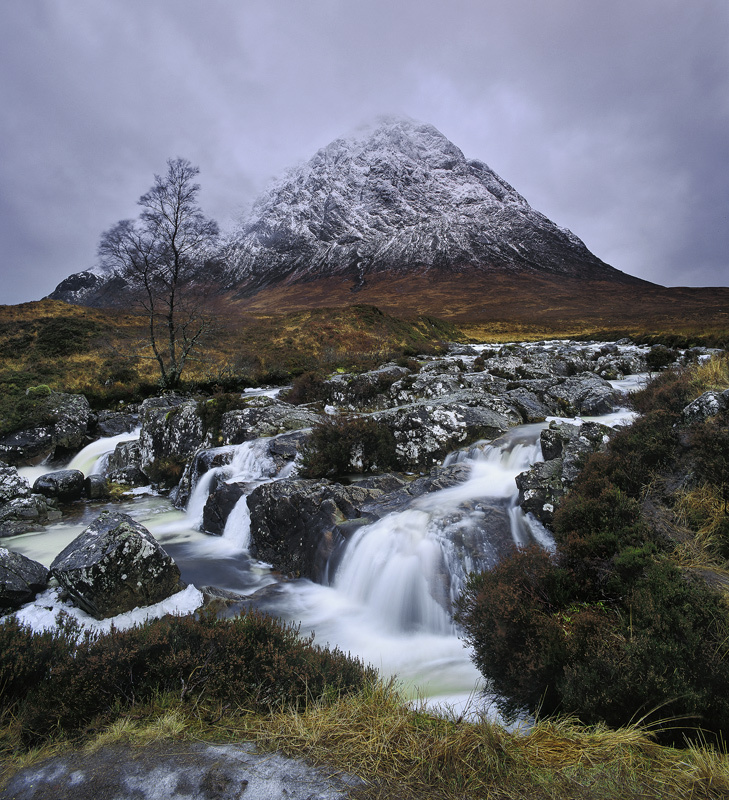 The mighty Buachaille Etive Mor is probably Scotland's most photographed peak but it always pleases and especially so for me on the dreichest of wet winter days imaginable which left me comfotably numb. Even so I waited for the peak to show itself in its entirety before shooting it and manufactured a shutter speed that rendered the falling water in the most pleasing form to my eyes. The chocolate browns of wet heather and bracken are sympathetic to the moody slate blue clouds glowering over the summit.